The Rebel Sweetheart. : Spotlight | Human Heart Nature Sunflower Lip Miracle. 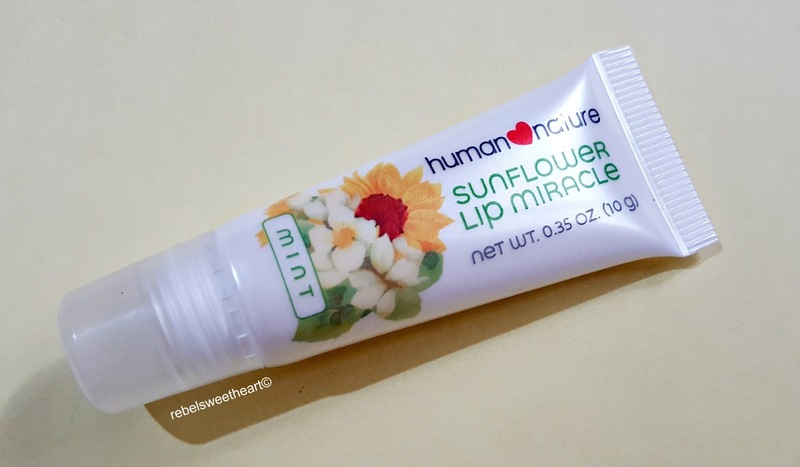 Spotlight | Human Heart Nature Sunflower Lip Miracle. 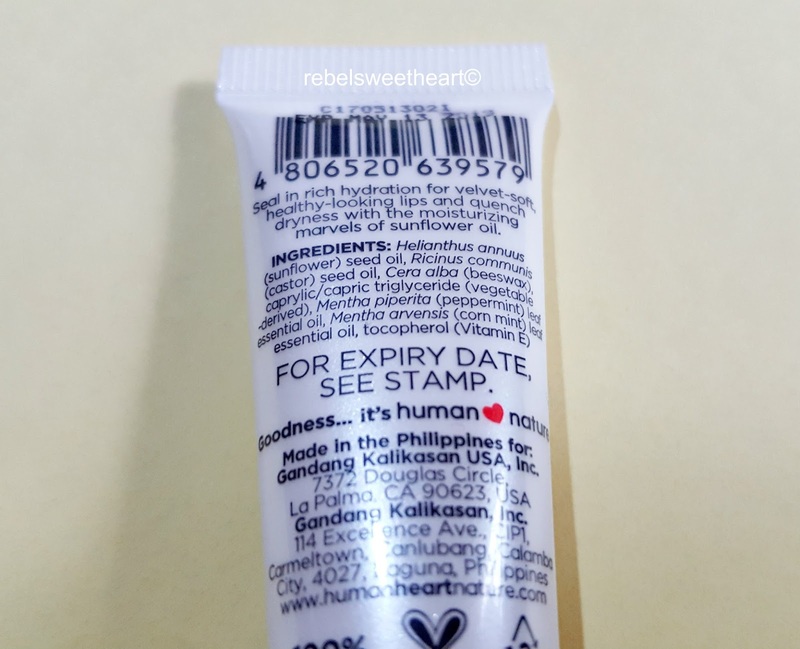 A few weeks ago, Human Heart Nature released the newest issue of their magalogue (that's magazine-slash-catalogue) and launched new makeup, lip care and skincare products. I was not able to attend the said event as I was still in Korea that time, but the avid Human Heart Nature advocate that I am made it a point to visit the Laguna branch a few days after my return to the Philippines. I may have missed the launch party, but I definitely will not miss out on trying the new products - especially this Sunflower Lip Miracle. Human Heart Nature Sunflower Lip Miracle. 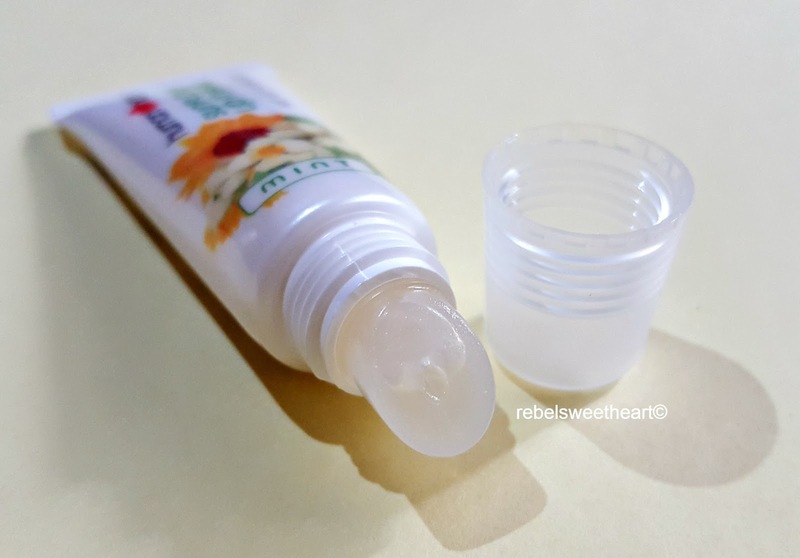 Housed in a handy, 10-gram squeezable tube, the Sunflower Lip Miracle promises 'sensationally soft and healthy-looking lips' and based on my experience, it does just that. Not surprising, as this product is made with beeswax and castor oil (both with skin softening and nourishing properties) and sunflower oil which has 44x more Vitamin E than cocoa butter, another common ingredient for lip balms and other lip care products. 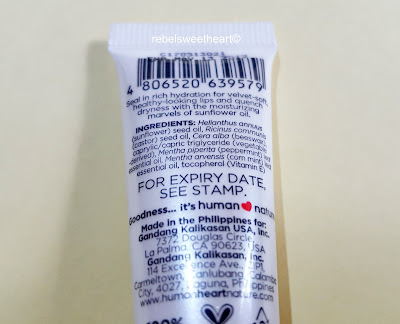 Product description and ingredients at the back of the tube. The Sunflower Lip Miracle can be used two ways: 1) as a gloss to make your lips look fuller and to give it a moist sheen; 2) or as an overnight lip mask for a more intense, deeper conditioning especially on days when your lips are extra dry to the point of chapping. For the past few days nights, I've been swiping this on my lips before going to bed and have been enjoying the benefits since then - waking up to soft, supple lips, pesky lip lines kept at bay. My son, whose lips seem to be perennially parched, has also been using this as on overnight mask and since then, his lips no longer look parched and dry. Both of us love the cooling sensation of this Peppermint variant, but if you prefer something fruity, I suggest you try the Peach variant. Both 'flavors' sell for Php 199.75 and are sold online and at Human Heart Nature branches nationwide. 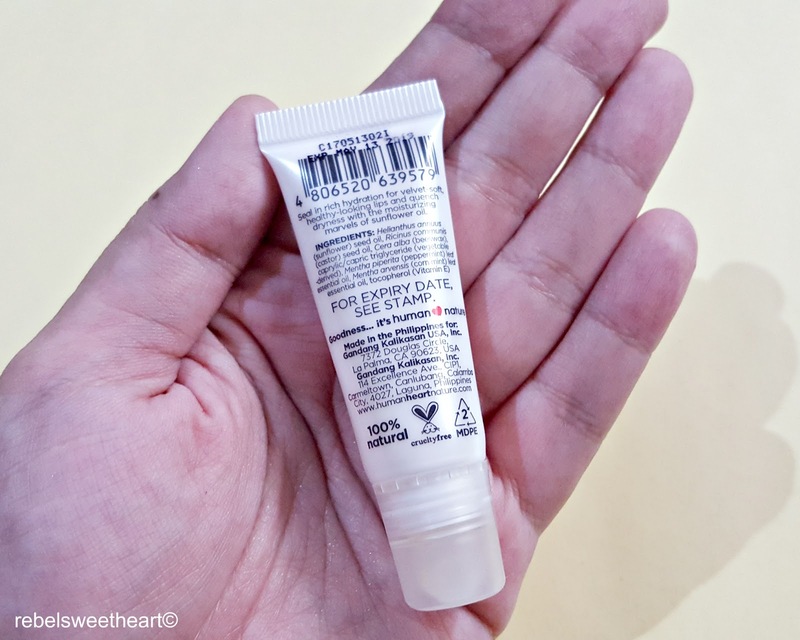 They say good things come in small packages and Human Heart Nature's Sunflower Lip Miracle is just that - a lip saviour in a pocket-sized tube. Before - dry lips, prominent lip lines. Looks like a great lip product, thanks for sharing! I can't stand having dry lips. Looks like it does do a good job moisturizing your lips. I need to get that sunflower lip balm for when we have extremes of weather - the extremely hot summer and the harsh winter cold. That's pretty awesome. I tend to have dry lips and I could definitely use a product like this. Did you make up the word 'magalogue?' That's a good one. :) Glad you are trying the products, even though you were gone during the opening event. I think both the peach and peppermint versions would be awesome! My mom is a fan of this brand! Im sure this works so good to everyone! This sounds like a great product! I absolutely cannot stand having dry lips. I also love that this contains sunflower oil which is supposed to be great for preventing dryness. Wow, that looks like a great product! I use gloss AND night masks, so I think I could make use out of this one! Thanks for the info!